Photograph by Gideon Heede (gideonheede.com). 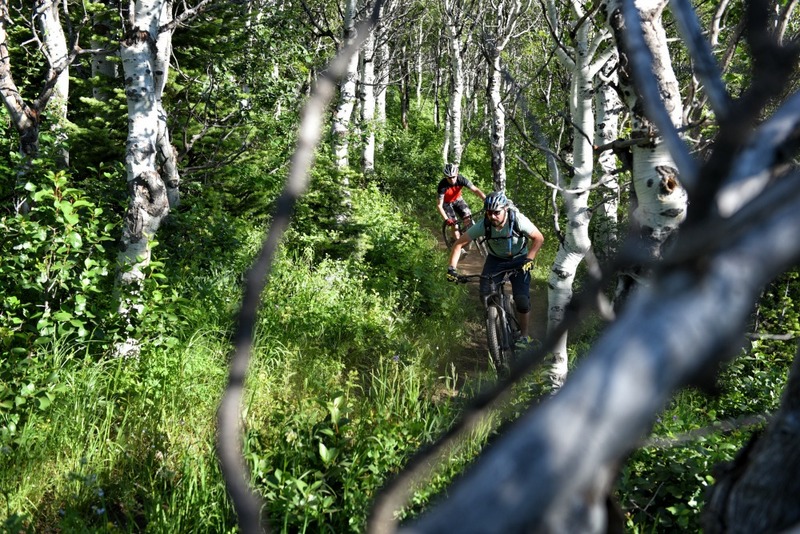 These days, mountain biking trails reign supreme in the area of Park City, Utah. 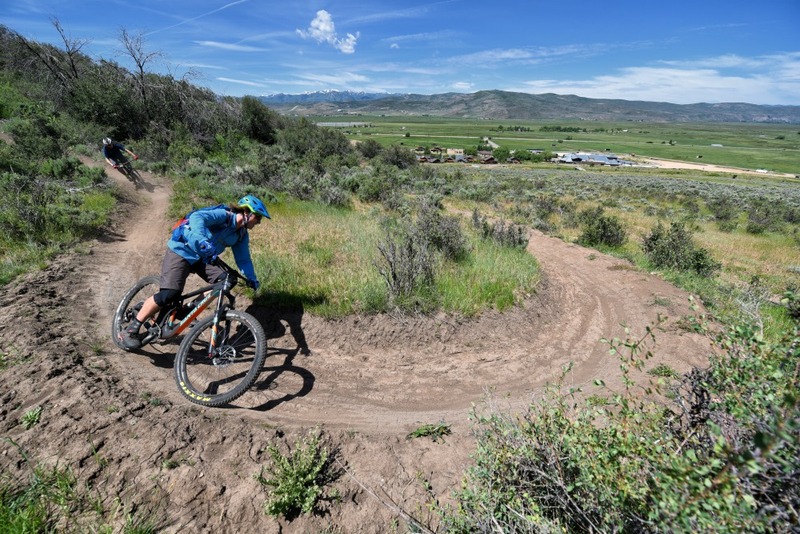 Since the mid 1980s, Park City has lead the charge in fat tire trail innovation and expansion. 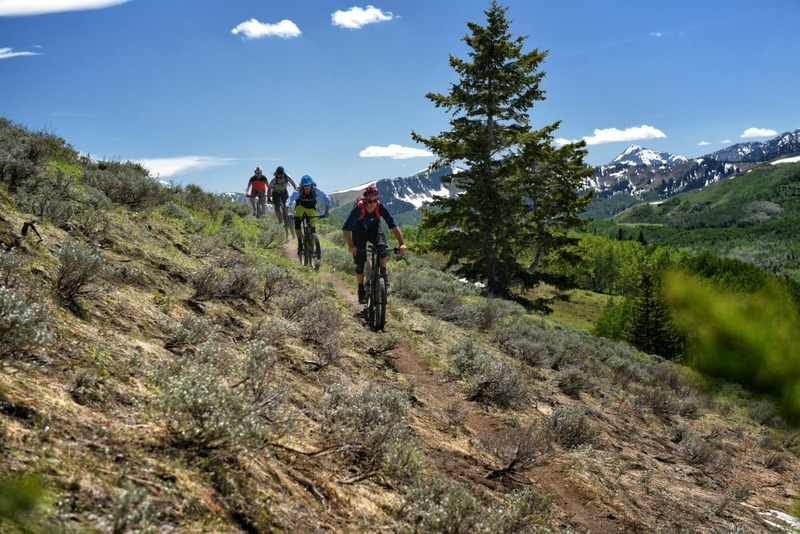 With everything from primitive, hand-cut cross country singletrack to buffed-out, perfectly manicured flow trail, Park City and the surrounding areas offer pure trail riding gold. We sat down with Diamondback Bikes professional rider Eric Porter and trail builder Derek Thomson of Sagebrush Trails & Services. A Louisville, Kentucky native, Porter moved to Park City 15 years ago. He has won the Downhill and Slalom National Championships, numerous international competitions, and been featured in mountain bike films all over the world. Thomson is a born-and-raised Park City local who grew up building renegade dirt jumps with his buddies and telling the previous generation of trail builders how they should be doing things. He now gets to do things himself by being the leading trail designer and builder at Sagebrush, which is one of the most prominent mountain biking trail companies in the area. The three of us sat down to discuss the High Star Ranch trail network in the Kamas Valley, their approach to creating sweet new riding options in the area, the cohesiveness of the Park City mountain biking community, and some of their all-time favorite local rides. We saved world peace and cyber security for our next conversation. 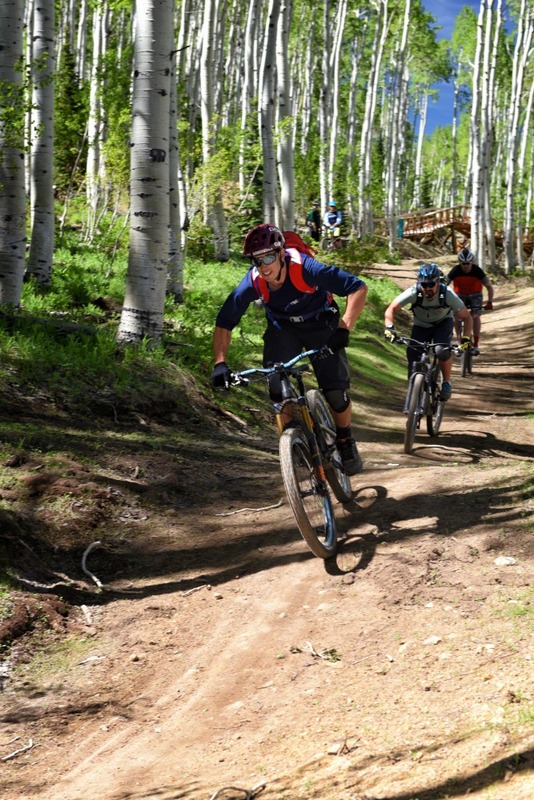 BigLife: The mountain biking-specific trails at High Star Ranch officially opened this past fall. Could you tell us about your approach to the design of those trails? Derek Thomson: Sagebrush Trails has been working on the High Star Ranch development for almost two years now. Our goal was to just provide a good variety of riding: backcountry singletrack to flow trail. The landowners gave us the reigns. It’s pretty rare when private landowners come to you and tell you that they want you to just go wild. That’s something that really sets High Star apart from the Park City trail network. Almost all of the trails out there are unidirectional which also enhances the riding experience. BL: What are some of the ways that you collaborate and approach trail building? DT: I think that a lot of my trail building influence has come from riding with Porter so much as I grew up and continue to today. We share the same thoughts and philosophy on trail usage. Eric Porter: I moved to Park City about 15 years ago and Derek was one of the first guys I met. We started dirt jumping together, riding downhill, and everything else and then transitioning back into trail riding. So we’ve always talked about what we’d like to see built here. With Derek being part of a trail building company, he’s been able to really have a say in the future of a lot of new riding options in Park City. He’s doing things such as making the unidirectional loops, putting rocks and that sort of thing back in trails, and making sure that trails don’t get too vanilla. Obviously, I can’t do much as far as building the trails. 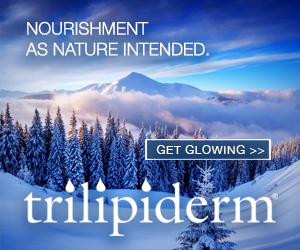 My side of things in our collaboration is showcasing everything and telling the world about the model we have. 15 years ago Park City was dead in the summer. A large reason that the locals are able to find work during the summer and even the fall is the draw of the mountain biking trails. BL: What are some other trail areas that you guys have worked together to create and promote? EP: We’ve done the Park City dirt jump park as well as my backyard, actually (Eric’s backyard is full of jumps, pump tracks, etc.). My backyard is now something that I bring a lot of people down to. Since we have the freedom to build whatever we want there, we’ve used it as a testing ground for riding features that Derek has gone on to use in public trail areas. For example, the ramp design for jumps in my yard has gone on to be same one being used to build the new jump park in Salt Lake City. 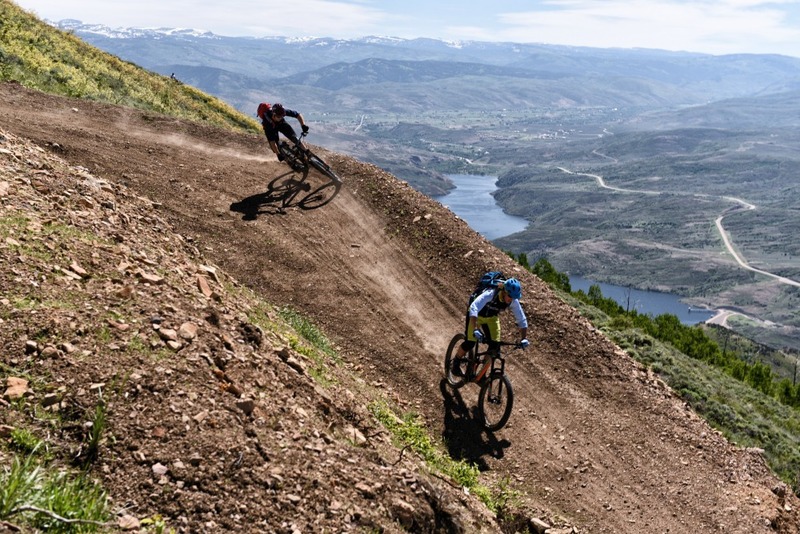 BL: What are some of your all-time favorite rides in the Park City area? EP: Man, that’s a tough one! I really like the old-school trails too. Like doing Dead Tree to Apex to Crescent Mine Grade. It’s all ripping narrow singletrack from the very top of the resort all the way back down to town. It’s such a fun ride. There’s also the Wasatch Crest Trail which falls under the epic ride category. DT: I’m a big fan of the old-school trails as well. Things like Sweeney’s to John’s to Gravedigger and that whole Old Town area. I especially like the old, hand-cut singletrack riding because I can’t create that with what I do. I do try to incorporate some of that feel into the machine-cut trails that I’ve created, such as High Star Ranch. BL: What have you learned by being a part of the mountain biking community in PC? EP: It’s cool to see the evolution of how we’ve gone from building backyard dirt jumps to Derek being the co-owner of Sagebrush Trails and me being on the Wasatch Trail Alliance. We’re proud to carry the torch for those that came before us and help things grow. We’re all a small piece of the puzzle but all working together with the same goal of making it better and creating our dream place to live. DT: Yeah. The ultimate goal is just to have fun outside. Creating more trails allows everyone to maximize this. EP: Especially with politics these days where you see all of this crazy stuff happening and you feel like you can’t do anything about it. Well, locally you can do something about it. You can help make your own trails better. This is what makes you happy and that’s it for me.